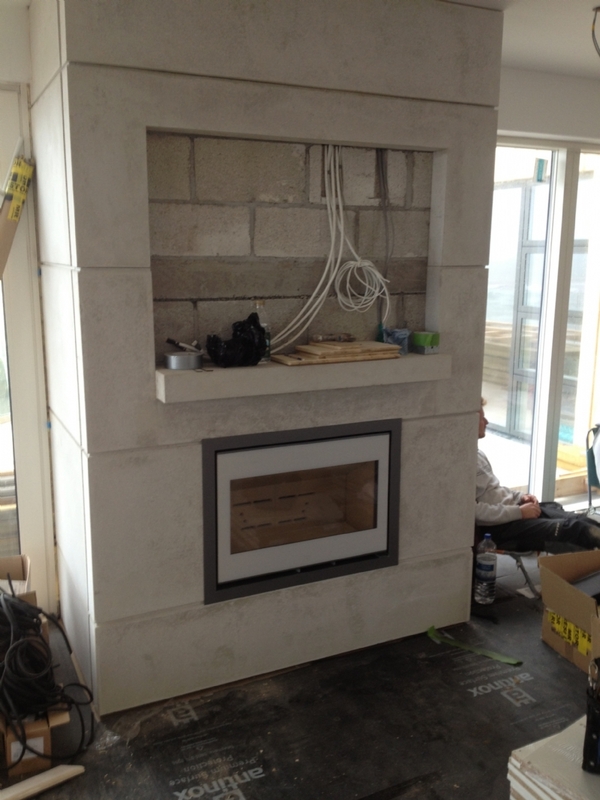 Scan 1002 woodburner with white glass door wood burning stove installation from Kernow Fires. The Scan 1002 is a clean modern wood burner which was inset into this brick built fireplace. There is now an option of building this structure from metal framework and fireproof board which helps to reduce the price and time taken. The TV can be inset into the wall to avoid it over heating when the fire is on.